Kimber is a gorgeous dog. She stood out as a puppy with her good looks, lovable attitude, and even as a wee youngster, she had an eye for birds. Kimber is a very pale shade of yellow which has helped her earn the nickname “White Lightning”. Kimber reminds us a lot of her grandma Nestle behavior wise- she is very playful, happy go lucky and loves everybody (but especially cats!) You will not find a birdier dog anywhere than Kimber. 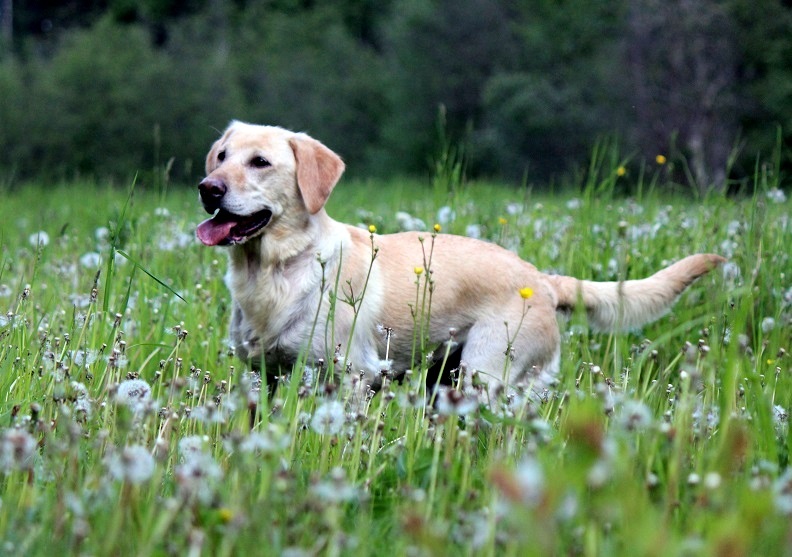 She has an outstanding nose and if you really want to have a great upland hunt, this is the dog to hunt over. Kimber has been successfully hunting since she was 8.5 months old and when she’s along, you just don’t lose birds – period! 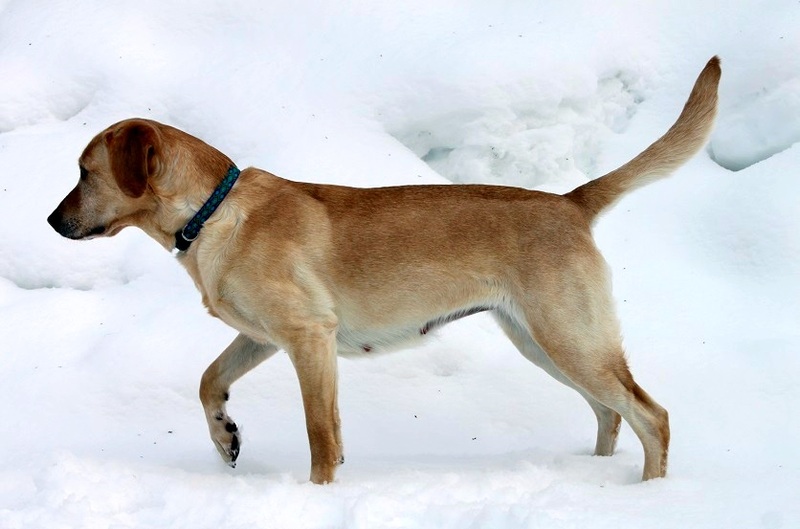 Currently, Kim is in training for agility, hunt tests, and dog sledding. She has explosive speed and agility! She is also a quick thinker so agility comes naturally to her. Structurally, Kimber is very nice- compact, well angulated, and power wrapped a petite package. Her competitive debut was a success, earning her first Gamblers Q and first place finish in her first trial. 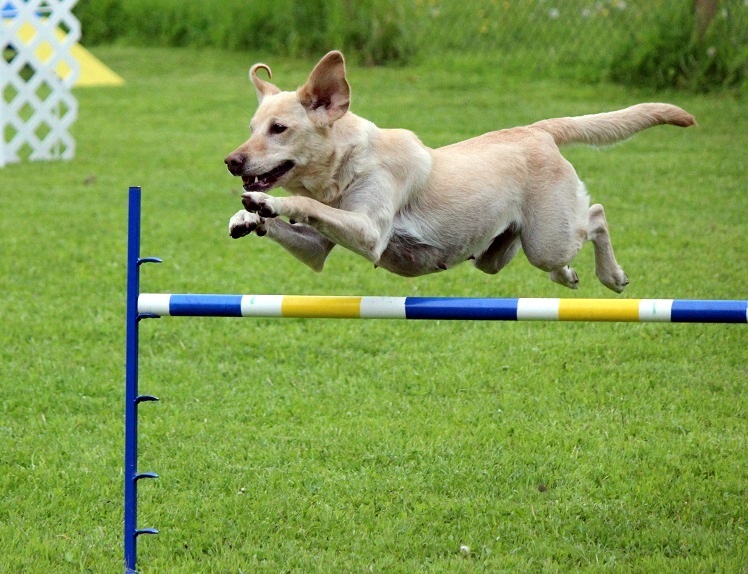 She has since earned her Starters Games Dog agility title. Kimber has also begun nosework training and enjoys learning new tricks- having earned her Novice, Intermediate, and Advanced trick dog titles in 2014. Although Kimber quite enjoys all the training and action in her life, she is truly a very calm and well-mannered house pet. She enjoys snoozing on the sofa, curling up with her kitty friends, and carrying around fuzzy items. She has sisters with hunt test, agility, and dock dogs titles, including 2 x World Championship Dock Dog qualifier Sable. Kimber’s puppies have been very successful in agility (the first Eromit MACH & AKC invitational competitor is a Kimber daughter!) 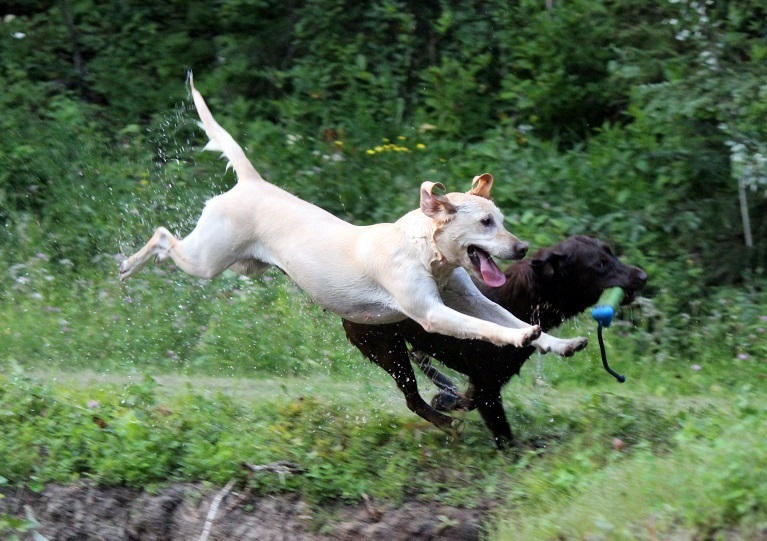 in the field as gun dogs, hunt test, field trial and working certificate competitors, and as family dogs. 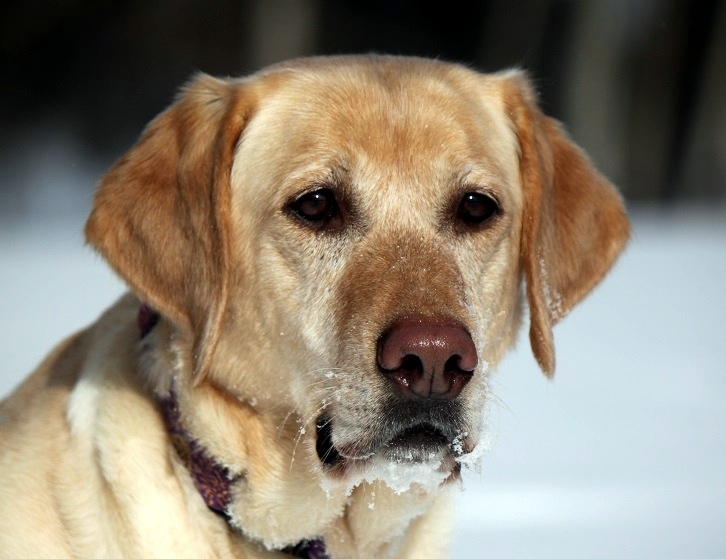 She is also the dam of the first chocolate Eromit search and rescue dog. Kimber is now retired from breeding but continues to compete in dock diving and agility events. This summer she earned her working certificate as well. We co-own Kimber’s daughter “Spice” and hope that she’ll be able to continue on with the success that Kimber has brought to our breeding program. These are eye exam certificates from the Canine Eye Registry Foundation (this organization is no longer operational and has been replaced by the OFA).